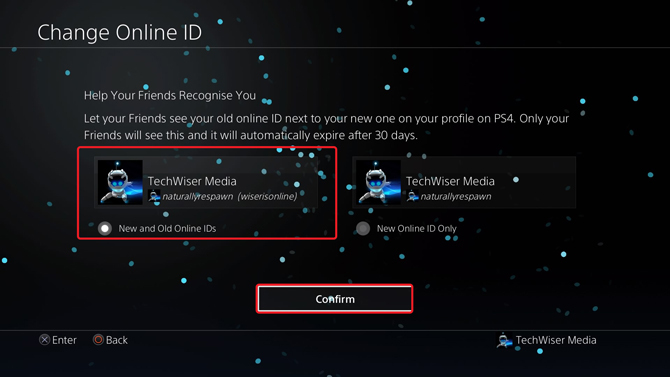 I created my online ID for PS4 on a whim, not knowing you can’t change it afterward. I can’t even count how many times I got teased for a silly username online. 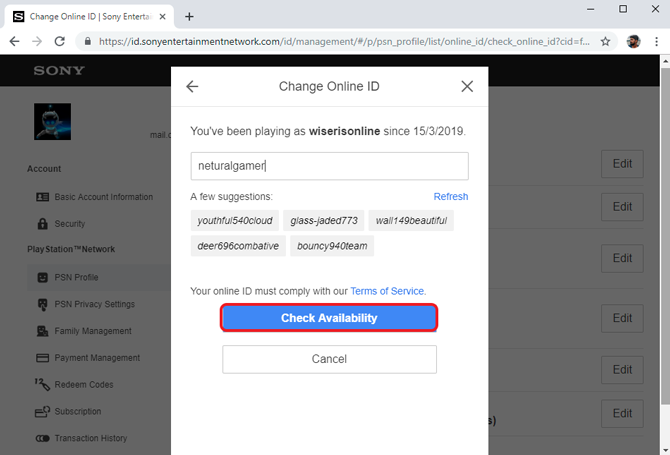 Thankfully, last week, Sony decided to give you the option to change your online ID which is great news because instead of getting stuck with an edgy teenager ID, I can now have a normal one. 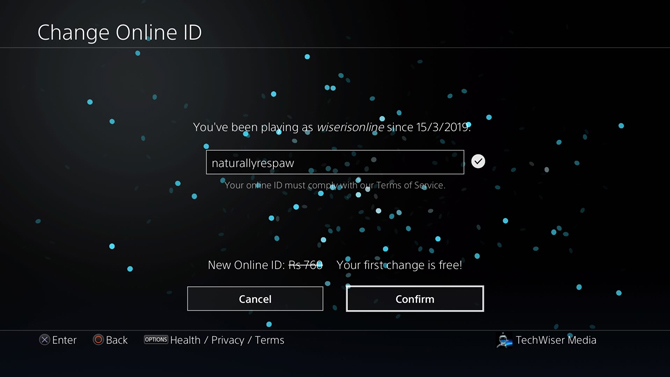 Let’s check out how to change your online ID on PS4. 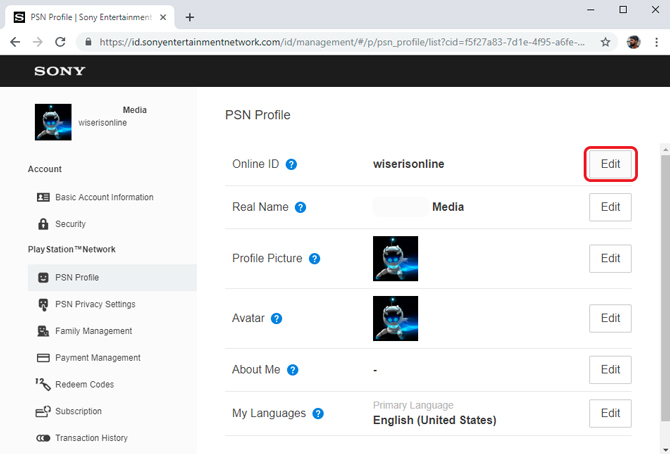 Changing Online ID on PSN is a risky business and one of the reasons why Sony decided to release this feature so late is because changing your Online ID affects more than just your profile. It can affect your online scores in different multiplayer online games, it can cause loss of achievements and data. 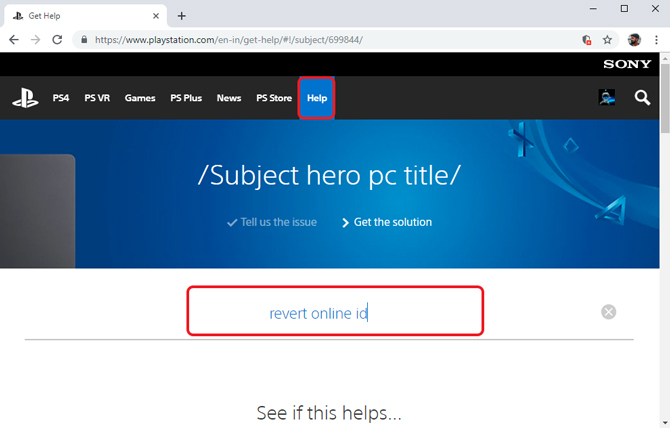 Games developed after April-1-2018 are expected to support Online ID change feature but Sony doesn’t take any responsibility for any data loss if you decide to change your online ID. 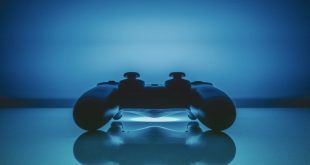 Sony did extensive testing to find all the games which might be affected by the change in Online ID. They have mentioned all the issues ranging from minimal to critical on their website. Most of the games did not have any major issues and changing online ID doesn’t affect your data. 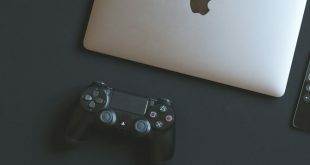 There are three categories in which the games are categorized; Games with no known issues, Games with Issues identified, and Games with critical issues. Most of the games don’t have any issues but you can check the list and find if any of the games you own fall under critical issues category. 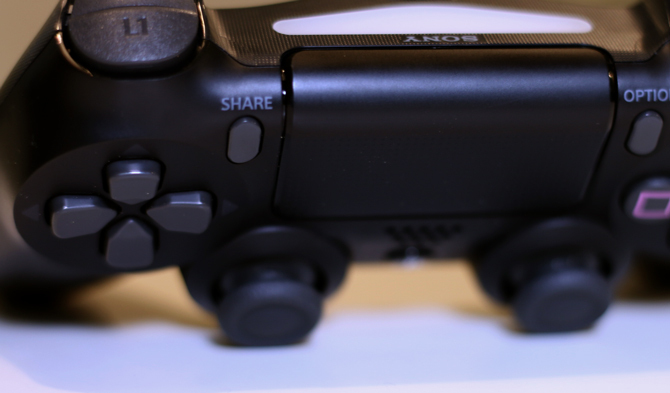 With this out of the way, Let’s change your PSN Online ID. 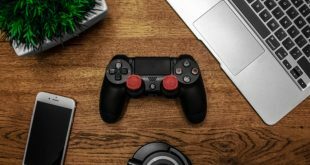 You can either do it on your Computer or your PS4, both of the methods are easy and takes only a few minutes. 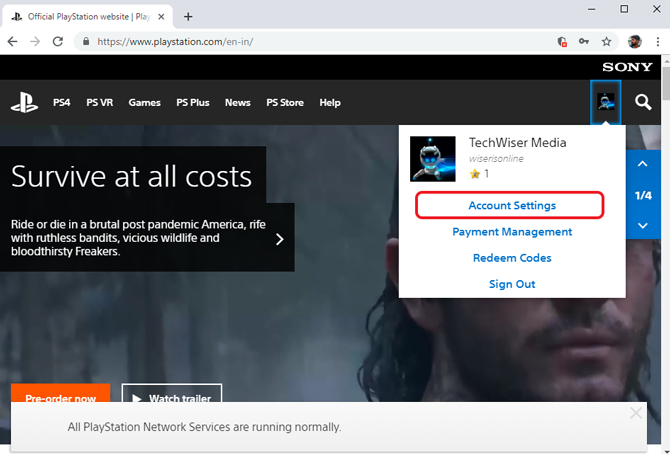 The first time you change your Online ID, it would be done free of charge but after that Sony would charge you a fixed fee of $9.99 every time you change your Online ID. PlayStation Plus users get a flat 50% discount on these transactions and would be charged $4.99 for every ID change after first one. 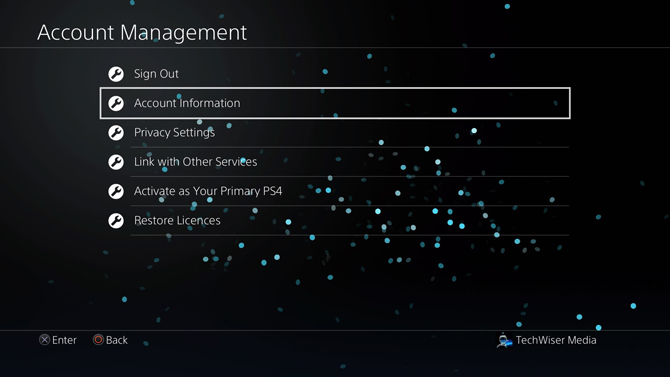 Power on your PS4 and log in to your account. Use the controller to navigate and open the Settings. Scroll down to Account Management in the list and press X to open. Under Account Management, you may find all other options greyed out. 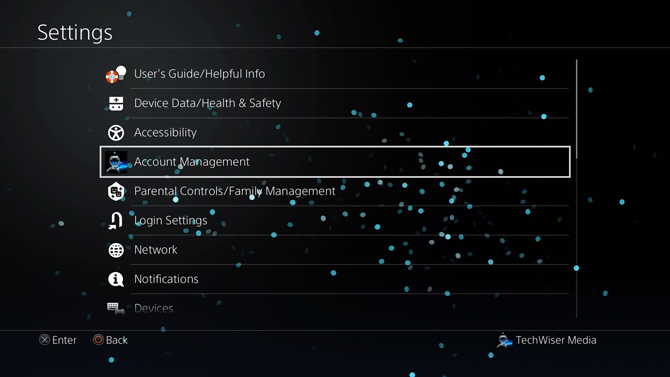 You would have to log in with your PSN ID to activate all the features. After logging in, scroll down to Account information and open the selection by pressing X on the controller. You can change your Sign-In ID, payment methods, address and set up security features for your account. To change your online ID, scroll down to Profile and open it. Select Online ID from the list of options. Before you can choose a new ID, it would ask you to enter your credentials again. 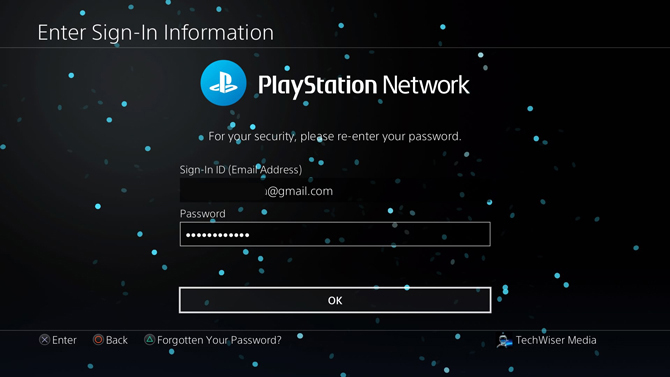 Enter your PSN account ID and password in the respective fields and press OK. It will show you a warning page that has all the things which may happen if you decide to change your Online ID. Press ‘I Accept’ to proceed further. Enter your new Online ID and Press R2 to minimize the on-screen keyboard. If you see a tick next to the Online ID input field, your new ID is available and you can claim it. If it shows an X next to the input field, try a different ID. You can also see the cost for the new online Id on the bottom. As I was changing the ID for the first time, it was free. Press Confirm and proceed to the next step. 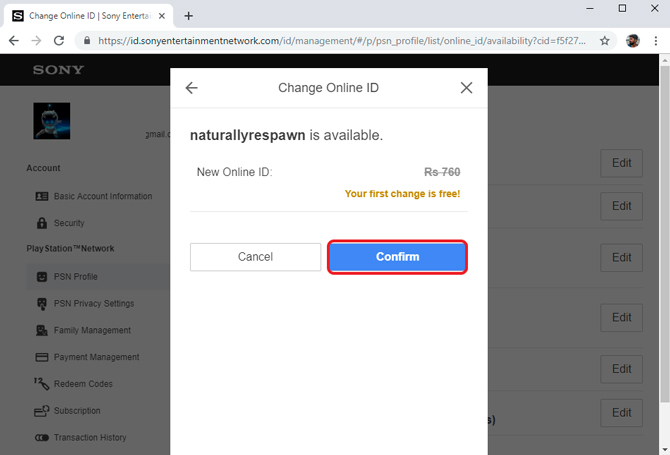 Just like we did on the console, changing your Online ID is simple and you can do it from your computer as well. 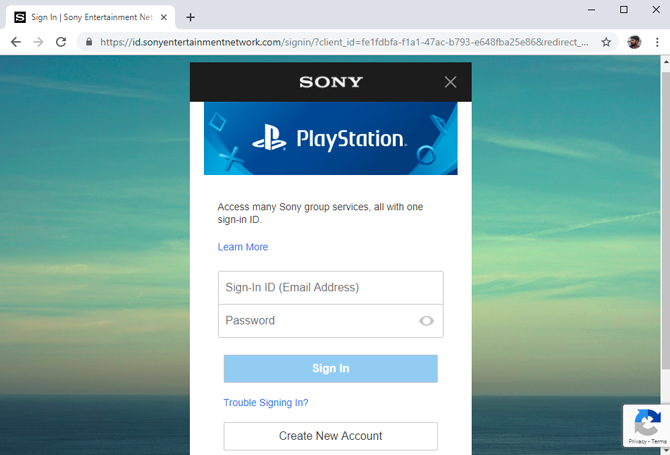 To get started, go to playstation.com and click the login button to log in your PSN account. 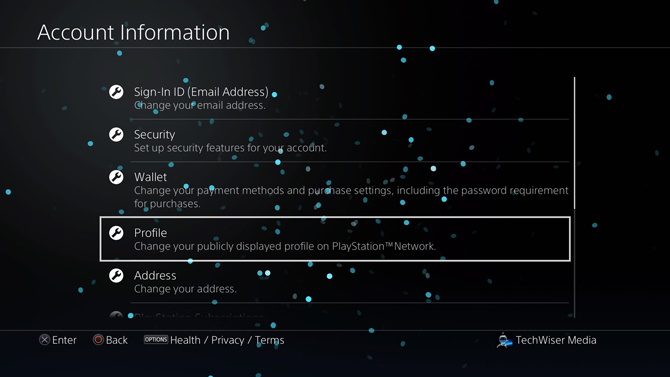 Enter your PSN account details and click the Sign In button. 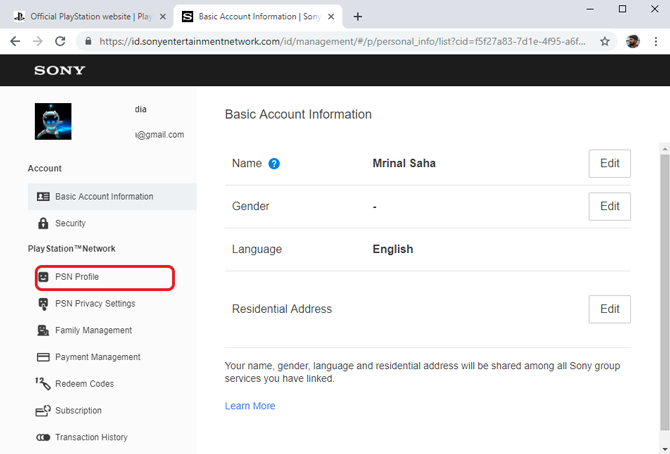 On the homepage, you’ll find your Avatar image on the top right corner of the webpage, click the image to open a drop-down menu and select Account Settings. This is your profile page and you can manage just about everything from here. You can see the basic account information, change security features, add two-step verification, add family members, change Online ID, etc. 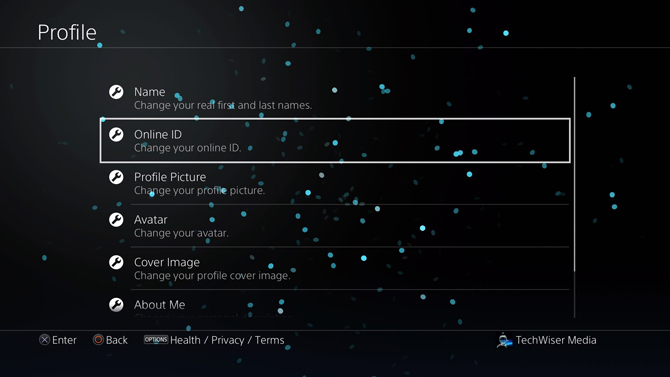 Click ‘PSN Profile’ from the list of options on the left. You can see your current Online ID and an Edit button next to it. Click the Edit button to get started with the Online ID change process. It would show you an information page stating all the warnings and possible loss that can occur due to Online ID change. Click ‘I Accept’ to proceed. Enter your desired username in the input field and click the ‘Check Availability‘ button to see if the username is available. If it is the website would take you to the confirmation page otherwise, you’d have to choose another username which hasn’t been claimed yet. After selecting your username, it would take you to the billing page and show you the cost of the purchase your about to make. Your first Online ID change is free of cost and it shows you a message ‘Your first Change is free!’ below the crossed out amount. Click the Confirm button to claim and change your Online ID. Your Online ID has been changed and it will reflect on your account immediately. If you ever wish to revert back to your previous Online ID, you can do it for free. The only caveat is that there is no way to do it on the PS4 or the computer. It can only be done by Sony executives and you can call their Customer Service to get it back. The contact number for the Customer Service can vary from Country to Country. If you have the Customer Service number you can directly call them. To find out the Customer Service Number, follow the steps below. To revert back to your older Online ID, log in to your account and click the ‘Help’ button. Type ‘Revert Online ID’ in the search bar and press ‘Enter’ to pull up the search results. Select any of the results that come up and scroll to the bottom and find the ‘Call us’ button. 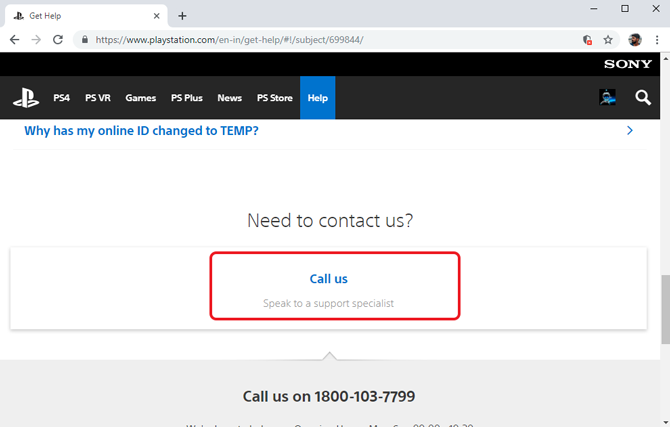 Clicking that would reveal the Customer Service number for your Country. Give them a call and ask them to revert your Online ID. The changes would reflect immediately. These were two ways with which you can change your Online ID. Both of the methods are similar and hardly takes five minutes. The changes are reflected instantly. 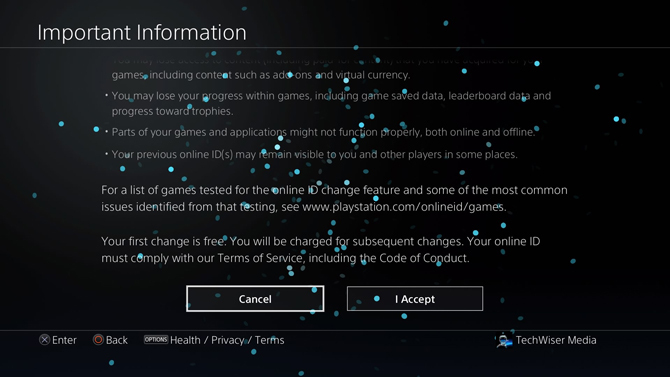 Sony discourages you to change your Online ID often as it creates confusion across the platform. They have a list of all the possible things which can go wrong if you decide to change your Online Id. 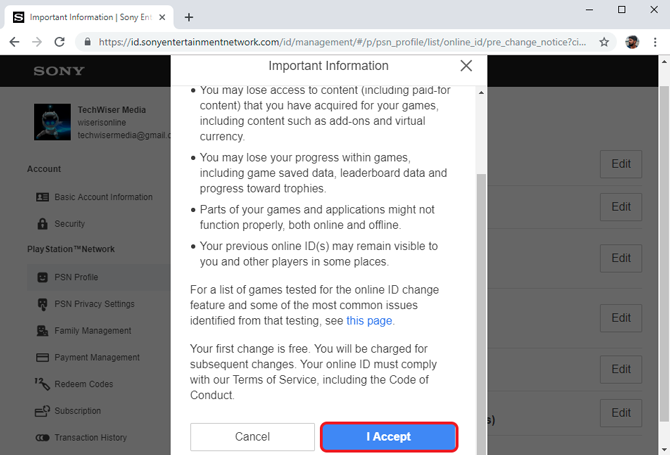 However, the damage is limited to a small number of titles which means most users won’t have a problem if they choose to change their Online ID on PS4. Drop a comment if you face any problem.